“We all noticed the ensemble’s evolution in terms of value, the homogeneity, virtuosity, themed reliefs expressed intelligently, the ease of approaching various styles coupled with the authenticity of every age’s rendition – such is the manner that acclaimed cellist Marin Cazacu used in order to recommend his disciples, reunited in the Jaya duo. 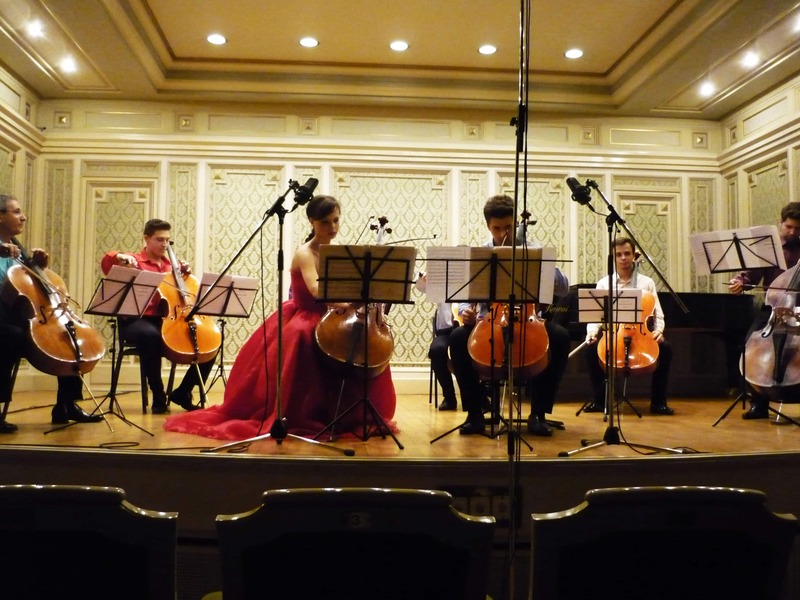 We might say that the dialogue between the two cellos offered by the duo during the concert held in the Small Hall of Romanian Athenaeum was strongly guided by their passion of offering quality music to the audience. Since 2012, Ella Bokor and Mircea Marian are part of Duo Cello Jaya – a unique ensemble through the ample and diverse repertoire rarely heard in concert halls, ranging from baroque to jazz, original or arranged for two cellos. Two musicians with extensive stage activity, gained both individually and in chamber ensemble, cellists Ella Bokor and Mircea Marian showed greatness, passion and professionalism through a vast repertoire. 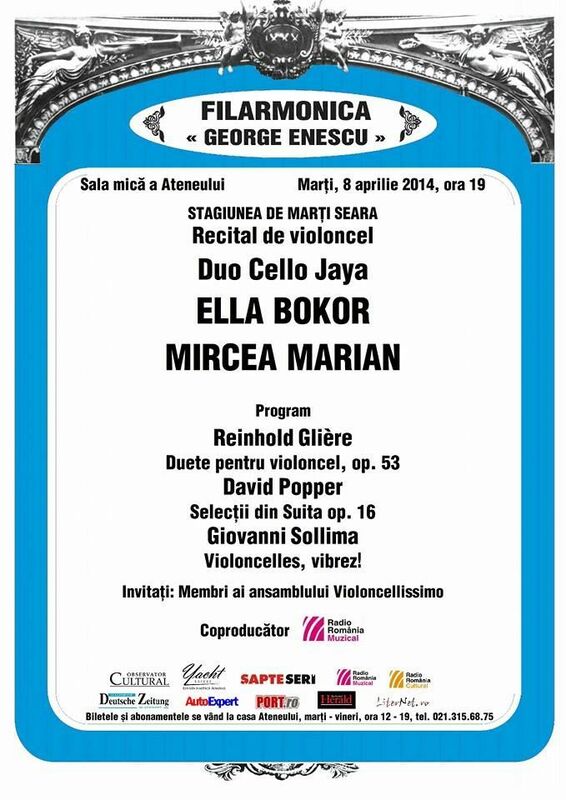 On 8th of April, Ella Bokor and Mircea Marian opted for works by Gliere, Popper and Sollima, partly due to their master, cellist Marin Cazacu.